This is the heart of your connected home. Your gateway controls all your compatible devices. You have a smartphone, a tablet, a Mac or a PC? Apps and web portal work on many devices. Your smartphone is not of Apple-Android-Windows type? 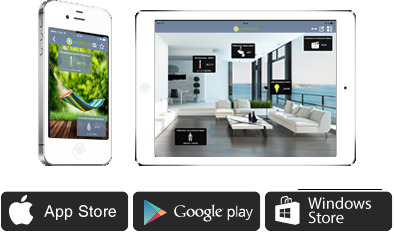 This is not a problem, HTML5 app will allow you to control your home in the best conditions. Works with voice-enabled speakers ! 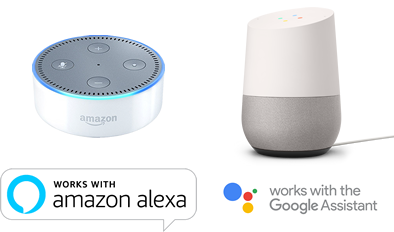 The Google Assistant and Google Home are trademarks of Google Inc. The eedomus cloud service is available for all. Complementary services (optional) allow you to do more with your data. 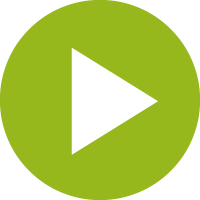 The eedomus cloud allows you to access from wherever you are, to your secure eedomus environment. 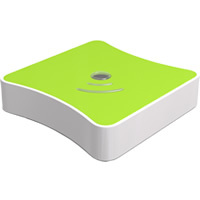 The eedomus cloud backups your configuration for you and stores your sensors data or camera images. 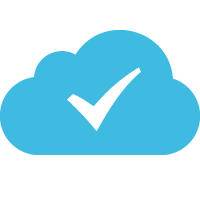 The eedomus cloud monitors your gateway and notifies you of important events by email, SMS or push notifications.